This week, a piece I wrote for Commercial Integrator hit their site. In addition to being on their website, a longer piece appears in their digital and print edition. You should check out that version as the cover features Mr. Brock McGinnis of Westbury National. In the article I lay out my various predictions for InfoComm 2016. They range from audio and video on the network to cloud-based control. I’m not sure if anything I’ve ever written has caused as much feedback, and I thank each and every one of you for your email, tweets, and sharing on various social media. A few of the comments have been stark, and somewhat heated, disagreements. Personally, I welcome the contrarian view. It helps me grow and learn from others’ points of view and experiences. See, AVNation has a board that helps me make decisions on moves to make, initiatives to take on, and ways to make this experience better for you. They don’t all agree with me. They have the latitude to tell me I’m wrong and why. As someone who supports AVNation by listening, watching, and reading, so do you. It helps make AVNation better. As you head into Las Vegas for InfoComm 2016 you are going to experience sights and sounds like never before. There’s the Innovation Showcase, Content Creation Pavilion, UCC, and more. No, everything you see will not be groundbreaking. Some of it, in fact, will not work at all, or it won’t fit the need the creator was thinking it would. You need to tell them as much. As with most messages, the delivery is important. Don’t just scream at them like you are Gordon Ramsey. I would argue you are being crueler by not saying anything than by pointing out that their new gizmo and gadget doesn’t fit what they think it does, or it doesn’t handle HDCP 2.2, or whatever it doesn’t do what they think it does. 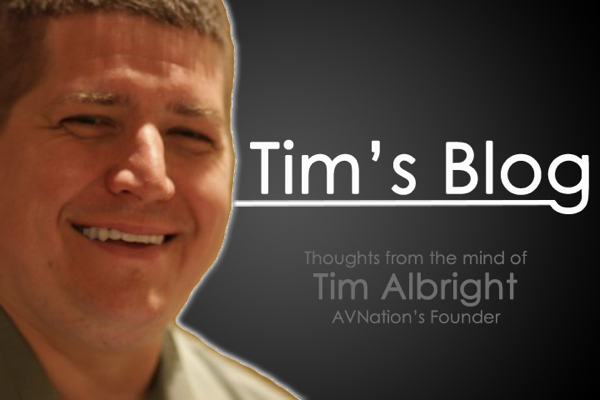 One of the governing ideas of AVNation is agnostic, authentic AV news and information. That agnostic part has caused some interesting, contentious conversations over the years as we have pointed out flaws in various products or offerings. As we have evolved and proven that we are not out to get one company or another but to make the industry as a whole better, the companies we interact with understand that. That is the point of dissent. It is not being contrarian for the sake of being so. It is contradicting someone’s view so that a conversation can be had and you both can learn something.